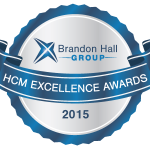 Brandon Hall Group is pleased to announce that the 2015 HCM Excellence Awards are now open to receive applications. We have added many new categories that fall under the Human Capital Management practice areas, so we decided to rename our program the HCM Excellence Awards. The modifications and new category additions were prompted by the feedback we received from our clients. 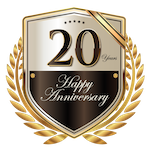 Now in its 21st year, The HCM Excellence Awards Program is the most prestigious awards program in the performance improvement industry, giving you the opportunity to be internationally recognized for the leading practices that have impacted your organization’s business objectives and performance. We receive applications from program designers, managers, and executives who want to share their winning programs and strategies that involve organizational improvement and performance, effective technology implementations, insightful models, and compelling success stories. Also, solution providers with innovative, cutting-edge technologies, products and services have the opportunity to enter. We are honored to receive applications from organizations around the world ranging from small, medium, large, and global enterprises, to government, not-for-profits, and associations. By entering you have the opportunity to join the ranks of prestigious organizations that received awards in 2014, including Accenture, Bank of America, Hewlett Packard, IBM, Intel, LinkedIn, McDonald’s Corporation, Shell, Stanford University, Verizon Wireless, Walgreens and other iconic organizations. Winners receive a variety of benefits – including recognition in our awards ceremony, opportunities to present and share insights about your award-winning programs, and discounts – at Brandon Hall Group’s HCM Excellence Conference 2016 to be held January 27-29, 2016, at the PGA National Resort and Spa in Palm Beach Gardens, FL. Additionally, winners receive collateral that allows you to further showcase your accomplishments both within your organization and with other organizations. 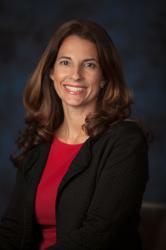 Applications and information about the 2014 HCM Excellence Awards can be found on our awards website. Results will be announced in a live online event, Thursday, Sept. 10. We look forward to hearing from you and your participation in our HCM Excellence Awards Program!